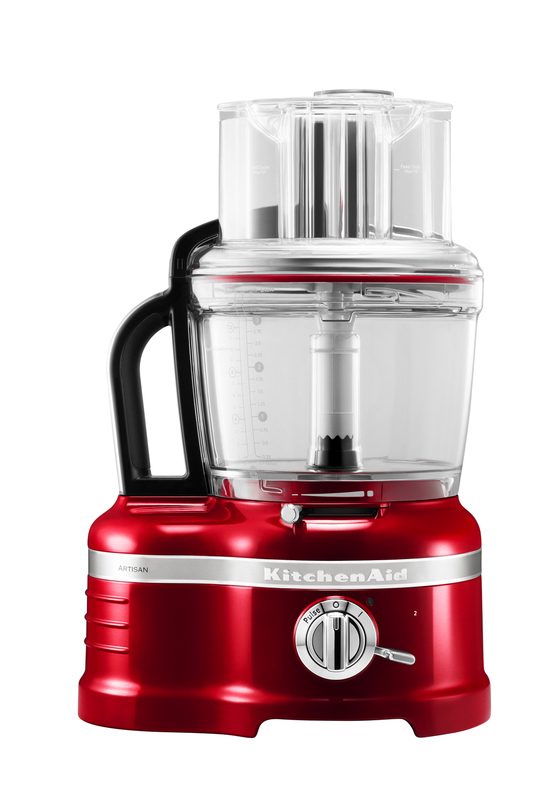 Whether it’s chopping, slicing or shredding this KitchenAid Artisan Food Processor in Candy Apple Red this product is a kitchen essential and wise investment. This processor is so easy to use and will help you massively while preparing those important meals. It’s simple design will fit in perfectly in any kitchen and you will wonder how you every done with it. Features include 3 work bowls which all fit inside each other for easy storage, 3 piece food pusher which allows you to process food of all sizes, dicing kit which is ideal for fine diced vegetables. There are three discs each which have all their own purpose the reversible disc which is used specifically for shredding, while the shaving disc is more used to for cheese and finally the French fry cutting disc to shape that perfect homemade chip. 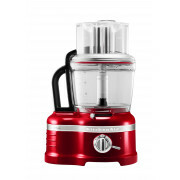 For Breakfast why not have fresh juice and use the citrus press which is so easy to use. For mincing, chopping or mixing this product has three different blades two different sized multipurpose blades which can cut threw anything so rapidly and make a lovely homemade bread with the dough blade which will speed up the process without doubt. Also with an egg whip which quickly whip up egg whites within seconds just like that.